The social media fans here in Britain have started a campaign to highlight the price of security. 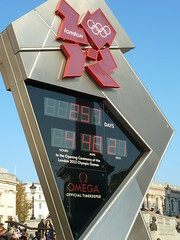 This weeks post explores the up and coming Olympics here in London. We take another good look at the logo and also examine what other people have been piping on about the costs and other things. This is actually another satirical rant at the cost of security. It also examines what you will be getting for your money this year. Here in the UK we are very lucky to have the Olympics, security guards are over the moon, many of them may not know what they are doing. Also lots of people have been feeling quite sleepy lately, but that's OK because the army have been scripted in to ensure there is no trouble this year. The main thing to understand this year is that everything has or will be paid. The bill amounts to about 300 million. The last country who held the Olympics was Greece, they had an expensive opening ritual which was great but must have cost quite a lot too. Here in Britain you can find out what to expect, and by reading this post you will be able to prepare yourself for this years shenanigans. The more people who turn up with tickets the better. Many people like the security guards have tickets, but they just to lazy to get up for work. Maybe you need to hire the army too. Is this you? 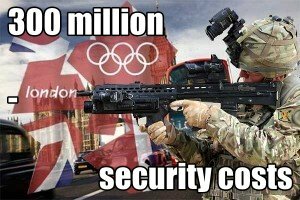 Are you as lazy as the Olympic security? Who do you trust more to ensure there is no trouble an army or the security team? Perhaps its normal for both to be there. Anyone who gets to watch the Olympics this year are very lucky, that said prepare yourself. You have been warned. In earlier post we have already told you what type of people these types of events attracts. Pick pockets, call girls and many more. Not sure about where to sit at the Olympics you might want to go over to the website and find all about it there.